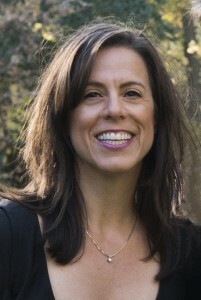 Dr. Jeannine M. Rowe is an Associate Professor in the Department of Social Work at the University of Wisconsin-Whitewater. She earned her Ph.D. in Applied Gerontology (2010) and Master’s Degree in Social Work (2001) from University of Wisconsin-Milwaukee. She holds a Bachelors of Arts in Social Work and Sociology (1996) from the University of Nevada-Reno. Dr. Rowe is a National Academies of Practice (NAP) – Social Work Fellow, New York Academy of Medicine (NYAM) –Social Work Fellow and Hartford Social Work Doctoral Fellow. She is also a recipient of the Hartford Foundation’s Pre-Dissertation Program in Geriatric Social Work award. Prior to pursuing her doctoral degree, Dr. Rowe spent almost a decade practicing as a licensed social worker in juvenile justice. During her graduate studies, she shifted to aging and gerontology, which is still her area of focus today. She remains active in social work practice by serving on community boards, acting as a consultant to social work and health care organizations, and conducting intervention research and program evaluation with organizations and communities. Dr. Rowe is a social work educator who teaches, mentors, and conducts community-based research. She teaches graduate and undergraduate courses in social work and aging. Her main areas of instruction include social work macro practice, group work, research, program/practice evaluation. Additionally, she teaches a multidisciplinary graduate/undergraduate course in aging. Dr. Rowe also serves as a research mentor to undergraduate and graduate students. She is actively involved in the University of Whitewater’s Undergraduate Research Program. As an applied researcher, Dr. Rowe works collaboratively with interprofessional teams. She conducts intervention research and program evaluation in social work, health care, and aging. Dr. Rowe is passionate about preparing students from across disciplines to work with older adults. Currently, with funding from Bader Philanthropies, she is leading Project GREY (Geriatric Resources for Engaging Your Students), an aging awareness and curriculum enhancement project designed to promote greater among students to pursue training and careers in aging. Previously, Dr. Rowe served as co-investigator with fellow NAP colleagues, Victoria Rizzo and Robyn Golden, on the Ambulatory Integration of Medical and Social (AIMS) model study, which examined the impact of AIMS on patient health outcomes and utilization of costly health services. She is the author of Field Evaluation Instrument (FEI), an evaluation tool designed to assess social work students’ performance of the competencies outlined by the Council on Social Work Education.